2013 Junior League of Savannah Kids Who Care Scholarship Recipients (L to R): Matthew Quintana, Clinton Cail, Alexandra Deaton, Courtney Lane, Jared Grant. 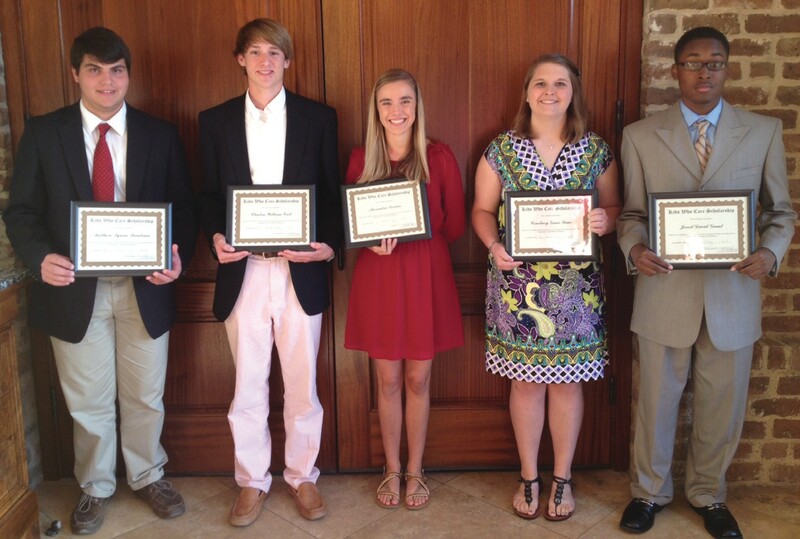 The Junior League of Savannah awarded five $1,000 Kids Who Care scholarships to high school seniors from the Coastal Empire at their Annual Meeting on Monday, May 6th. These scholarships are awarded every spring and nominations may be made by anyone – principals, counselors, students, community groups, individuals as well as self-nominations. This year, the League received 50 applications. The students who received the award have made a positive difference in the lives of others by demonstrating a strong commitment to volunteerism and outstanding community involvement. Scholarships are not based on academics or athletics.